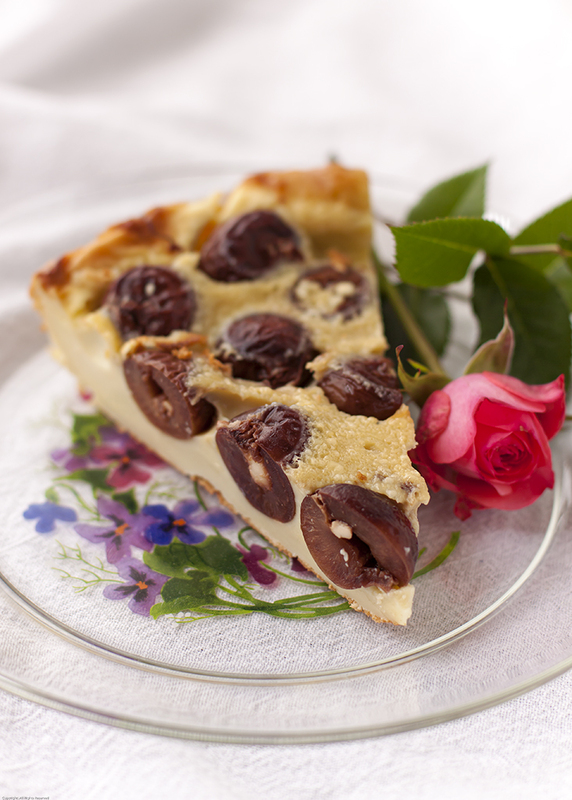 The classic baked dessert known as “clafouti” originates in the countryside of the Limousin region of central France. The name comes from a word, clafir, which in the local dialect means, “to fill”. 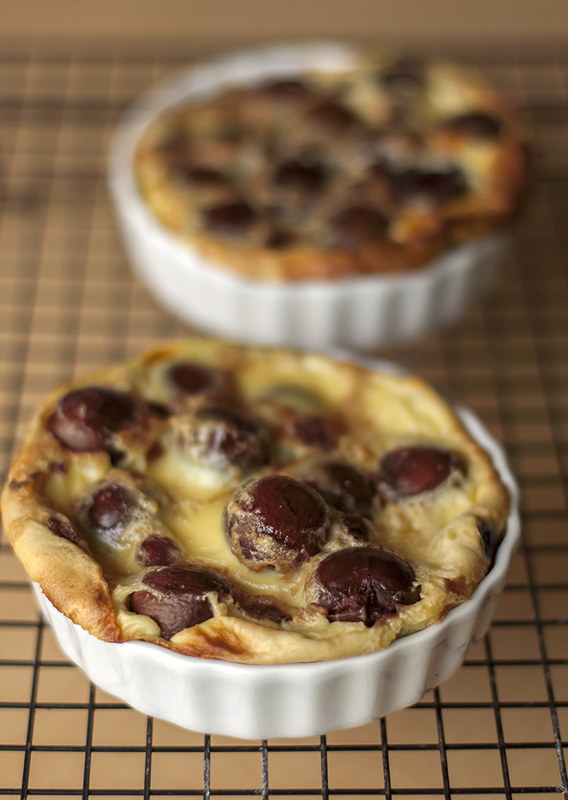 Indeed, the clafouti, something of a cross between a cake, a custard and a crepe, is literally filled with sweet cherries, traditionally fresh and unpitted. While the idea of a dessert containing cherry pits may not appeal to everyone, they’re included for a reason; the pits contribute an intensely almond-like flavor to the dish and, simply because they are there, you must eat the dessert slowly, savoring each cherry-filled bite. 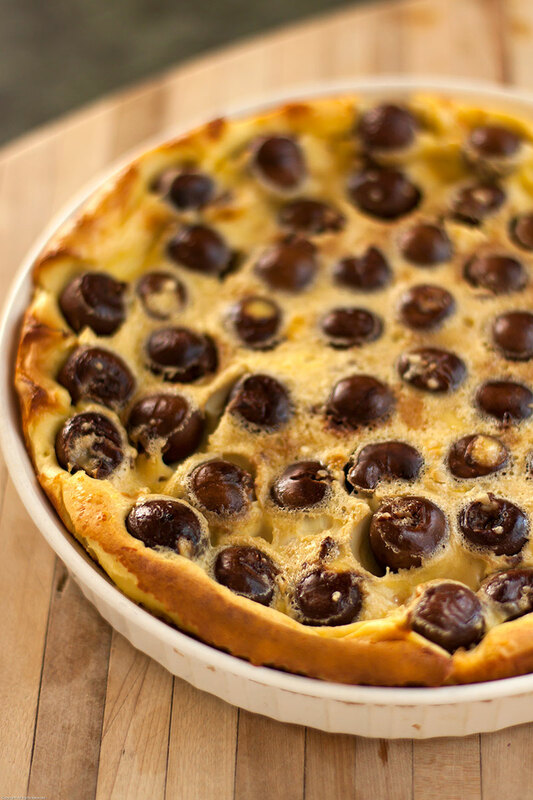 As “traditional” recipes go, clafouti is not particularly old, originating sometime in the mid-19th century. 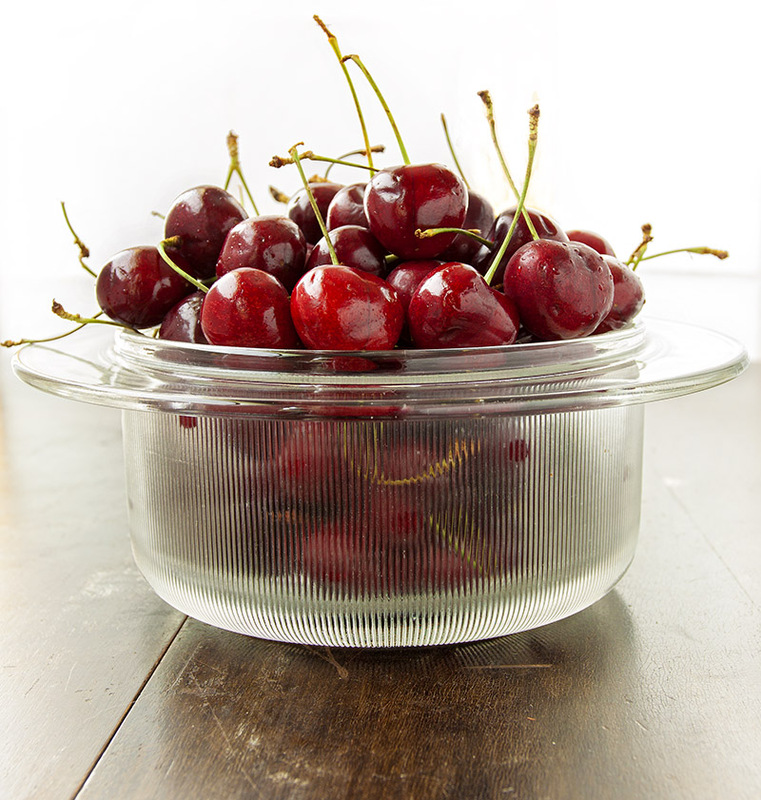 But since cherries are beloved throughout France, it was inevitable that this dish would quickly catch on and become a part of the national repertoire. While sweet cherries are traditionally used in this dessert, there are as many regional variations as there are fruits, including tart cherries, plums, pears, and blackberries. As mentioned before, fresh, unpitted cherries are normally used, but we utilized some sweet, dark cherries that had been previously soaked in vodka for a month (see the previous post “Fresh Cherry-infused Vodka“). The alcohol-infused cherries pack a potent punch, even after cooking. This makes for a double treat – a great dessert and an after-dinner drink all in one. Preheat the oven to 425°. Butter a 9″ ceramic or glass baking dish and set aside. Combine the milk, sugar, kirsch, vanilla, eggs and salt in a bowl and mix well with a hand-held mixer. Add the flour and mix until smooth. Pour the batter into the the prepared dish, then distribute the cherries evenly over the top. Bake until a toothpick or skewer inserted into the batter comes out clean and a golden brown crust has formed on top, about 30 minutes. Note: We used 1-1/2 times as much ingredients and made one 9″ clafouti and two 4″ clafoutis. One big one to keep and two little ones to share!